In August It was Janelle we were sending our Birthday Club goodies to. I'm still trying really hard to get something handmade into each of my gifts that I send out to the girls in the club. 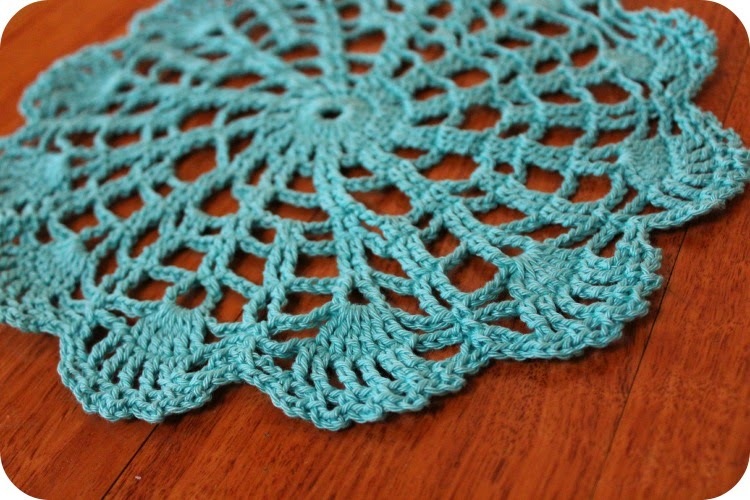 Janelle has a really lovely retro style in some of her furniture pieces and vintage clothing, her colour preferences are very similar to mine so I crocheted a vintage style doily for her, I did modify the pattern a little as my gauge was out using this gorgeous turquoise Catania cotton. The loops at the end of the fans were really big on the original pattern and some of the chains were longer. 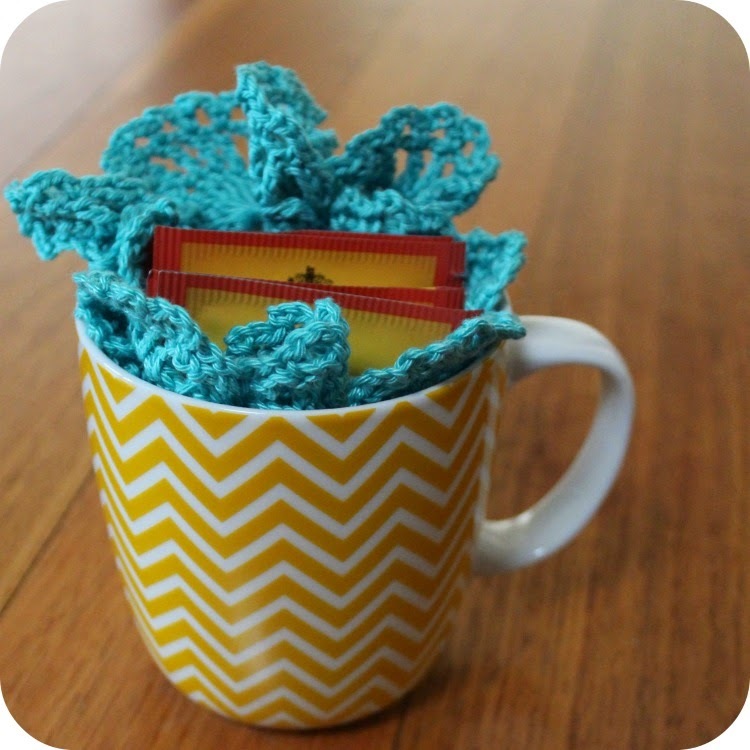 I tucked it nicely in a bright chevron mug I thought she might like, with some ' Australian Afternoon' blend tea. I really like this Blend its a bit stronger and has more Oomph. I reach for it when I just need a bit more Depth to my afternoon Cuppa. Have any of my Lovely Readers tried it? Janelle later told me that these are the exact cups she has and one was chipped so that was a nice fortuitous choice! The next club Birthdays gifts don't go out until October! Though I will pop in soon and share another gift that I sent out to a sweet friend, last month. Tammy, the blue looks great with the colour of the chevron mug. What a nice gift and I am sure it will be much appreciated.